This line is called "Polly Goes to Paris" and I just LOVE it! 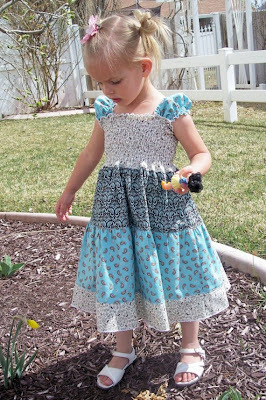 Some of you may recognize the fabric from a little dress I made for Eliza a while back. Cute, huh? I may add a flower or some other cute little accessory. I'll have to think about it. Also, one of the many things on my list of projects to complete before baby is born is to catch up on my scrapbooking. I have pretty much switched over to digital scrapbooking. It's just easier, more convenient, and less expensive than the old style. My friend Kelly recommended this new company to me, so I tried them out and I LOVE it! They were SOOO user friendly and the options for backgrounds and layouts is huge. They have regular deals, too. Like this weekend if I completed and ordered a book I would get $10 off plus free shipping. Even though there was much else to do, I decided to go for it and spent most of Sunday working on the book. I got it done (Yeah!) and was able to get the deal. That's one book down, and many more to go, but at least my 2010 family book is finished. PS. The laundry room is almost done, I promise!